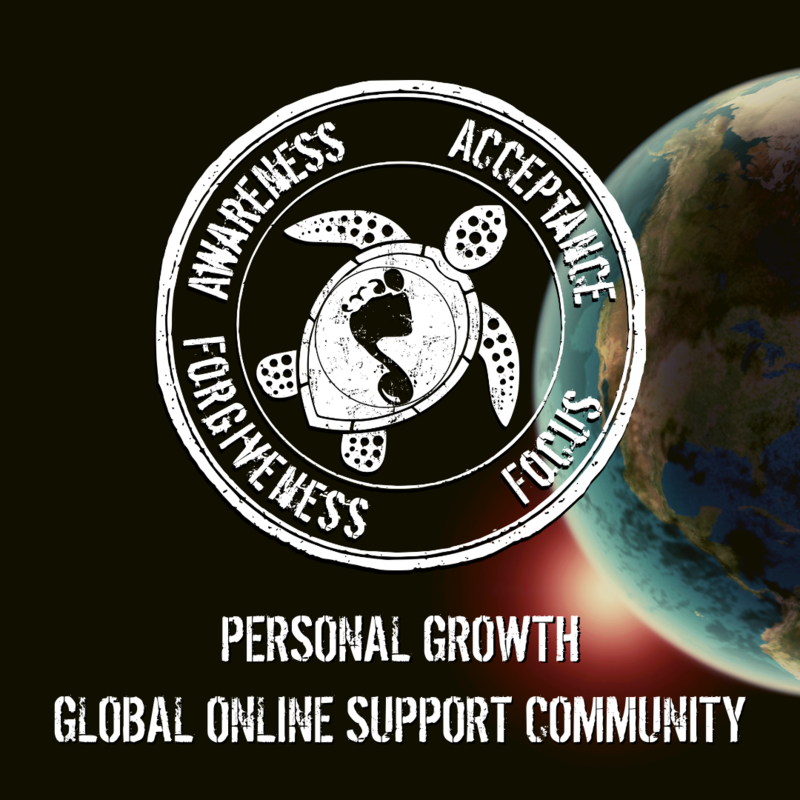 Wouldn’t it be nice ... to slow our spin of second-guessing for a couple of hours; to put the world on pause with no noise, news, comparing or competing? 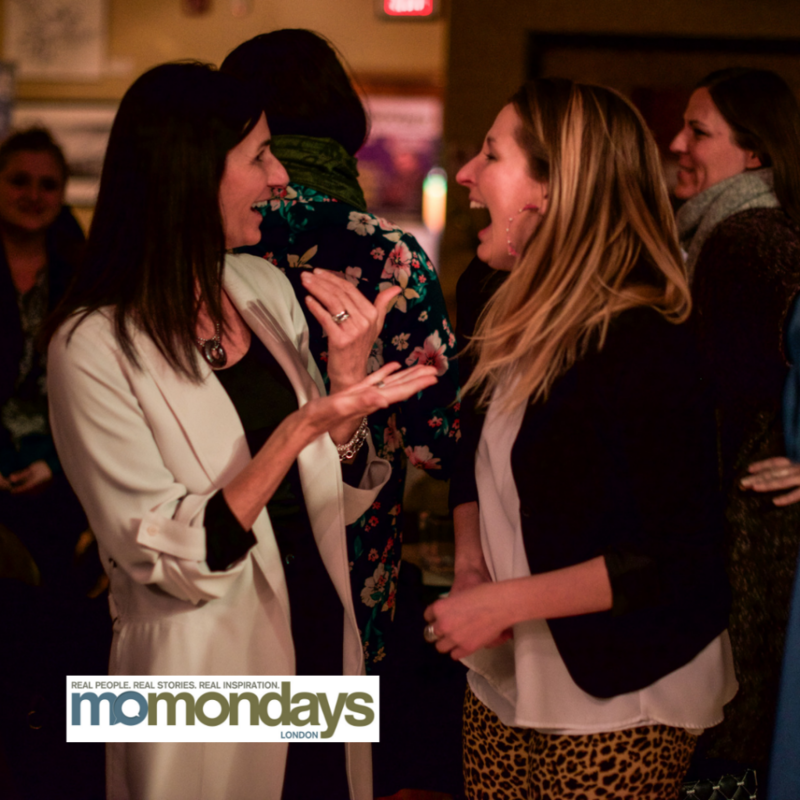 Imagine just relaxing, smiling and sharing in a warm, encouraging, genuine sense of connection that leaves us feeling inspired and empowered to step back into the spin again. 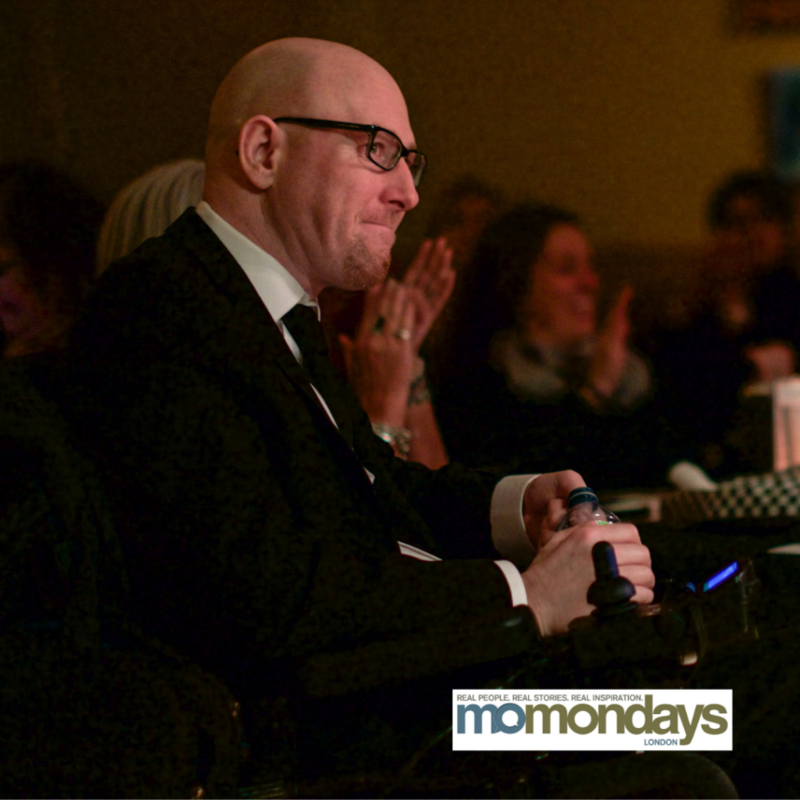 That’s what the all-new momondays London with Kevin Bulmer is all about. 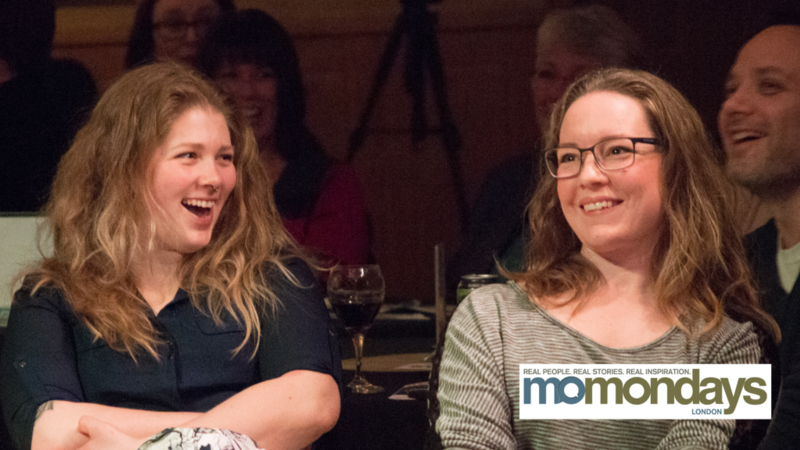 Prepare for an evening of electric energy featuring empowering, authentic speakers and storytelling … with a lot of laughs tossed in. 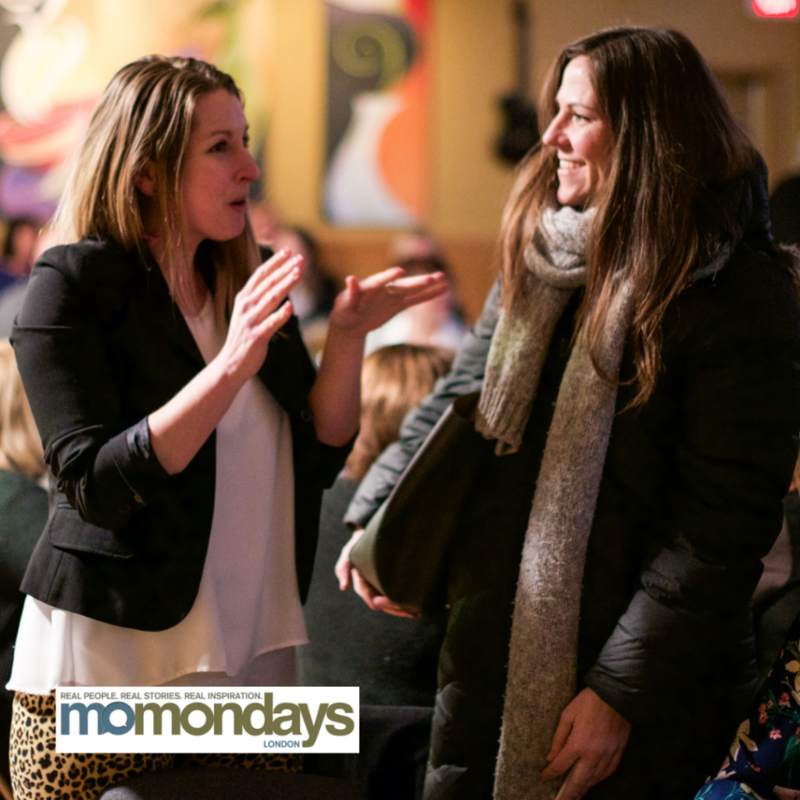 You’ll quickly discover what makes momondays London's most empowering event series. 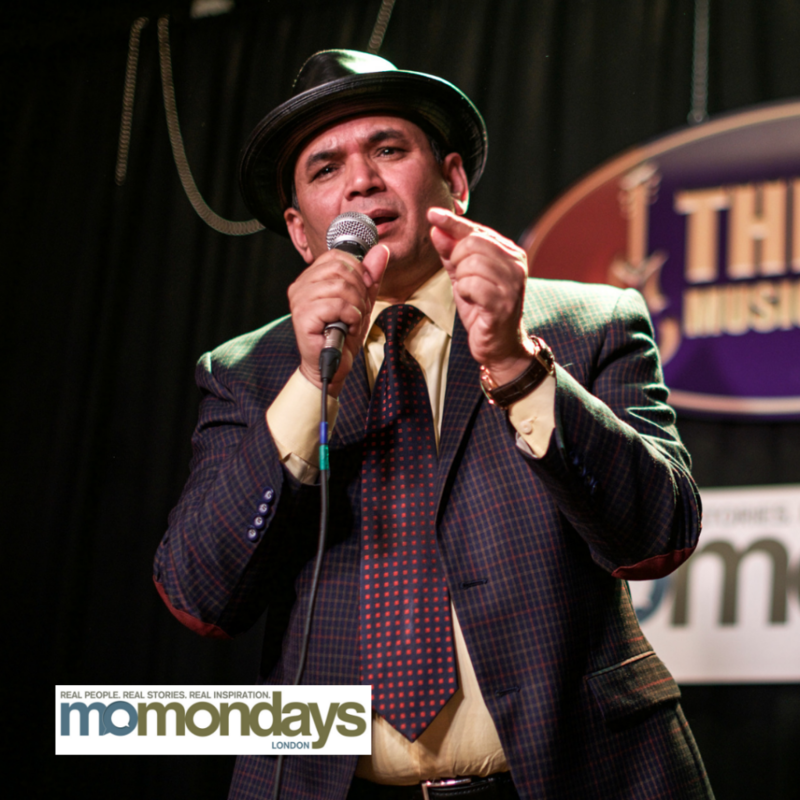 You'll feel it. 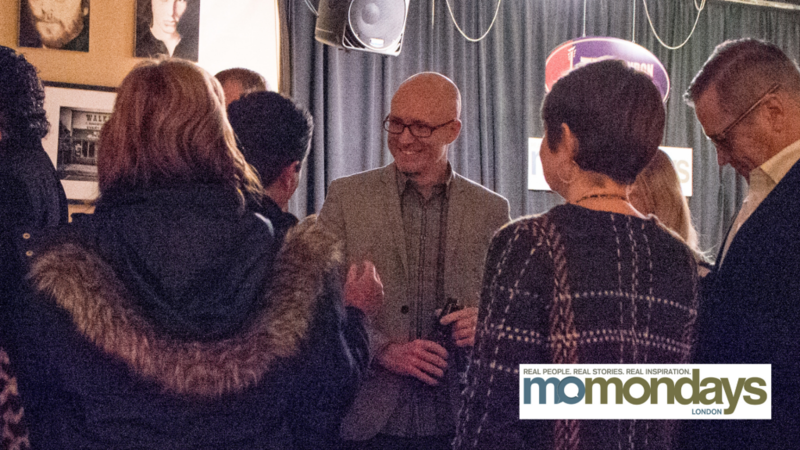 Each event features a handful of speakers/contributors sharing stories of their life and/or work. 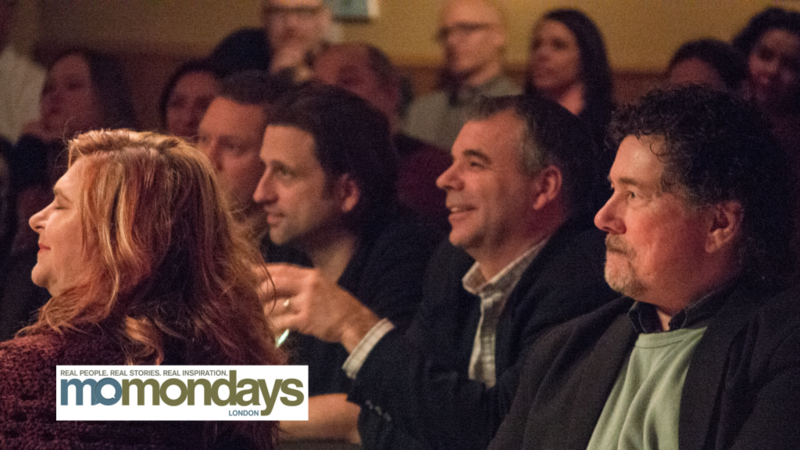 Some are funny, some are thought-provoking. 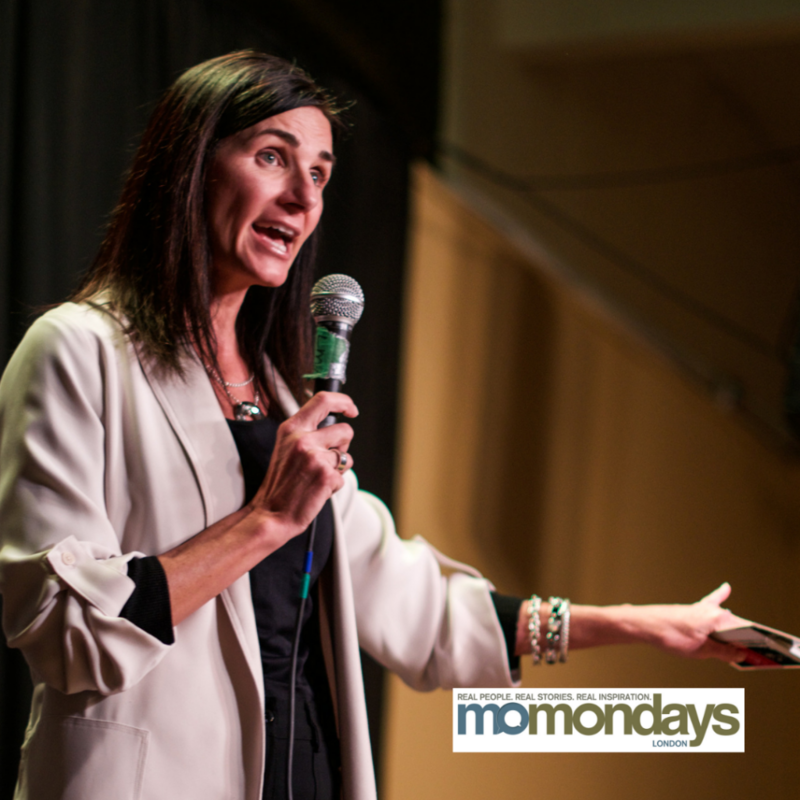 All are genuine, which makes them naturally empowering. 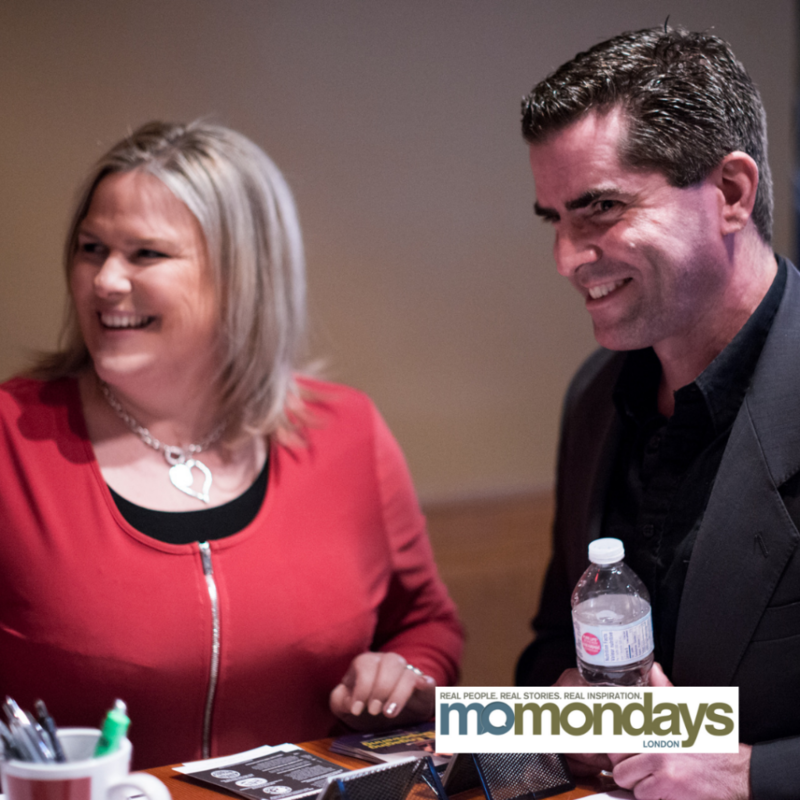 What’s more, you get to meet, connect and collaborate with all kinds of wonderful people in a fun, positive environment, with all of it anchored by Kevin Bulmer, a speaker, consultant, coach and lifelong Londoner with the unique perspective of a "No Schedule Man." 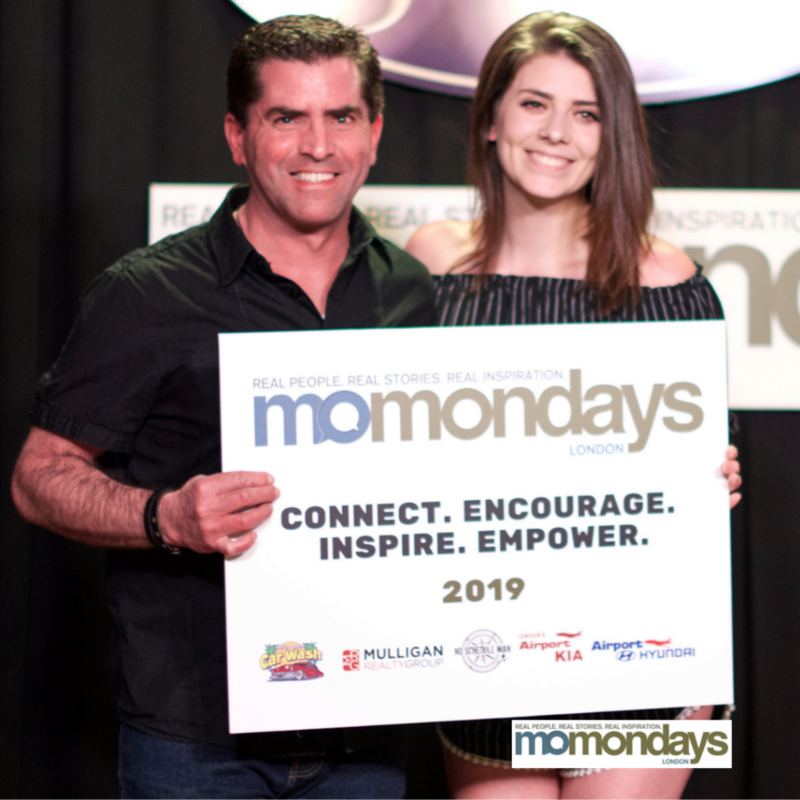 Next event: Monday, May 13, 2019. 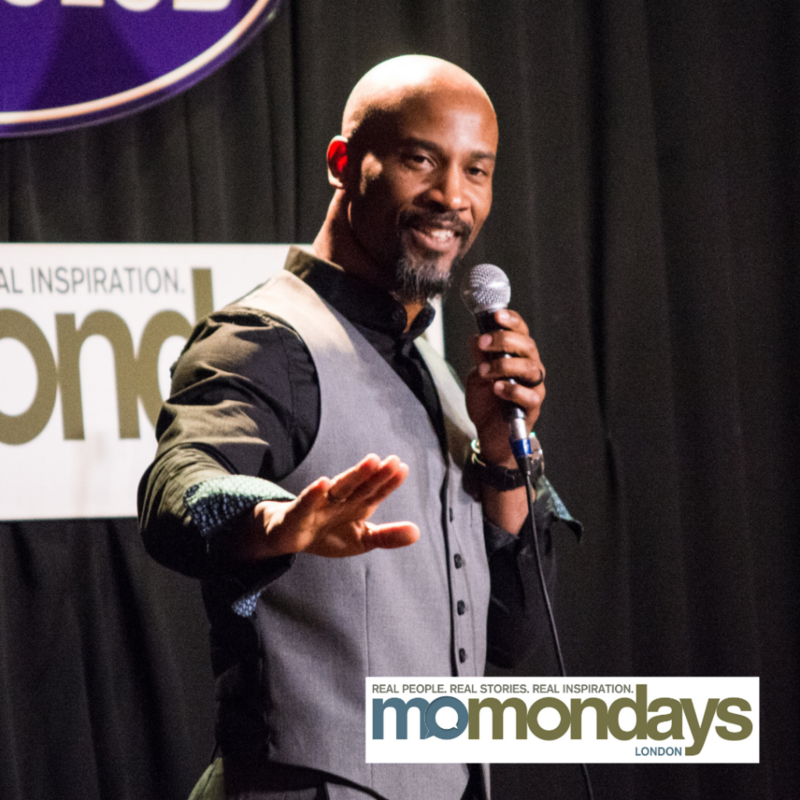 See below for tickets and more event information. 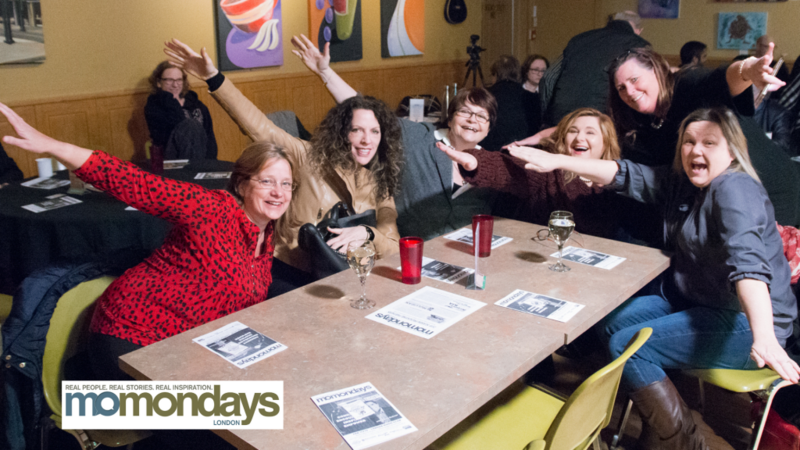 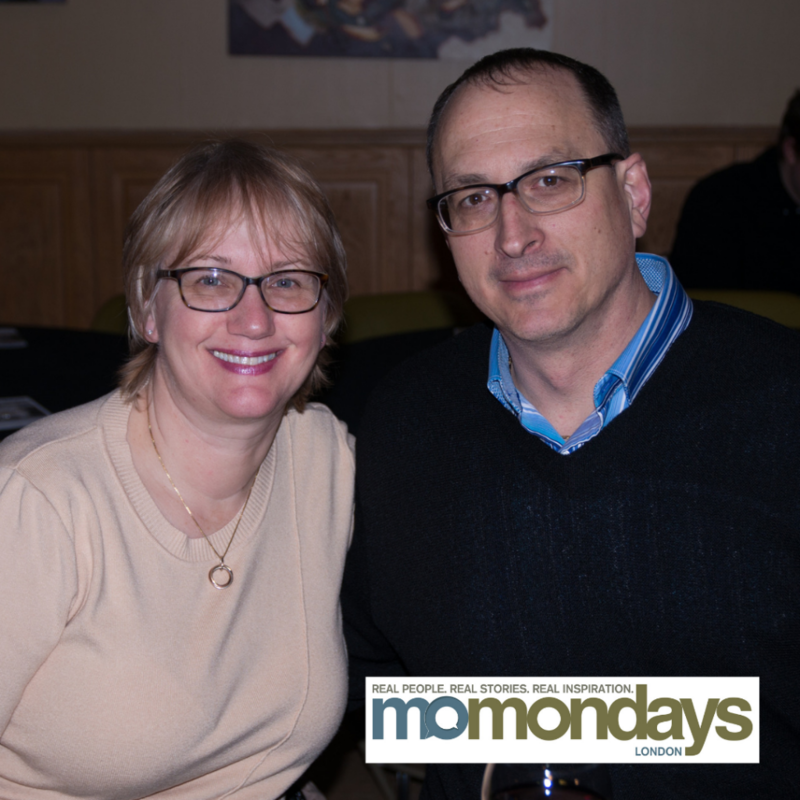 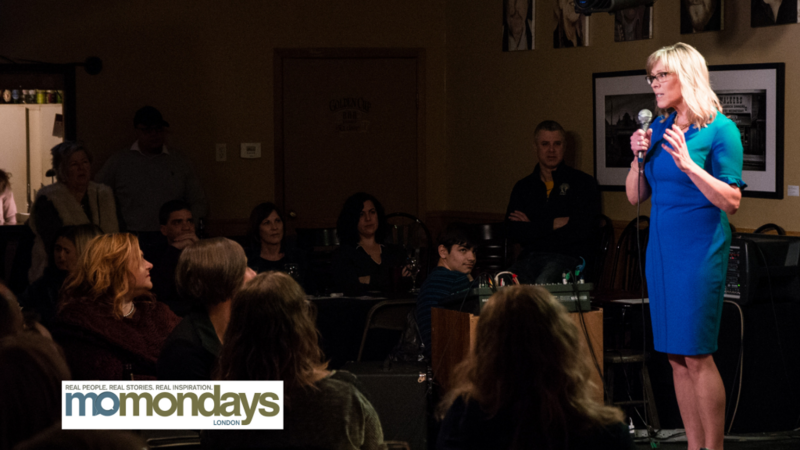 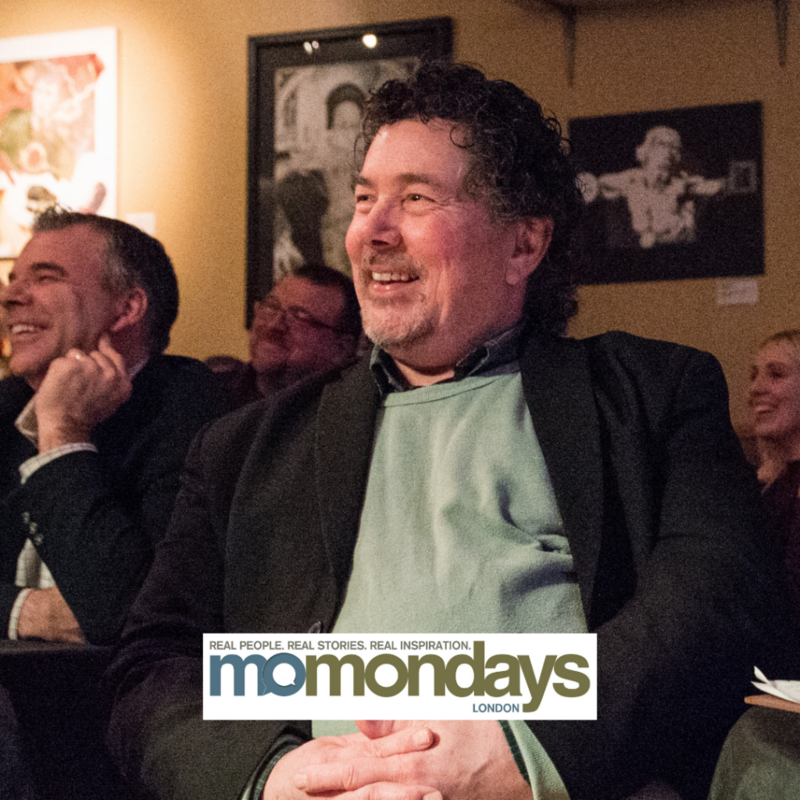 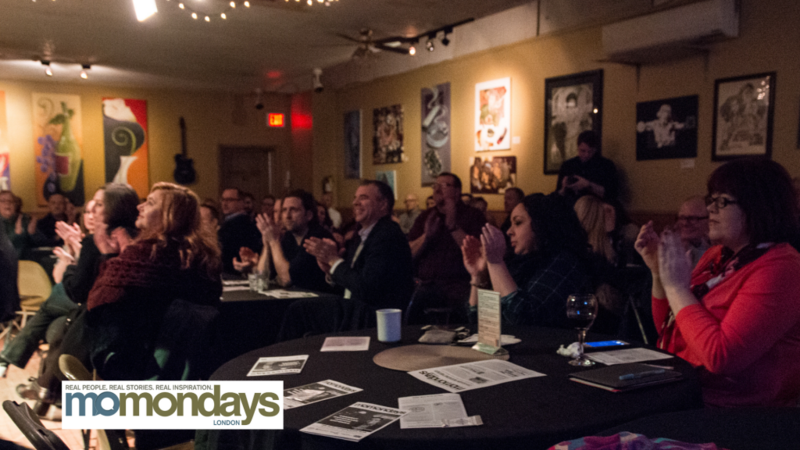 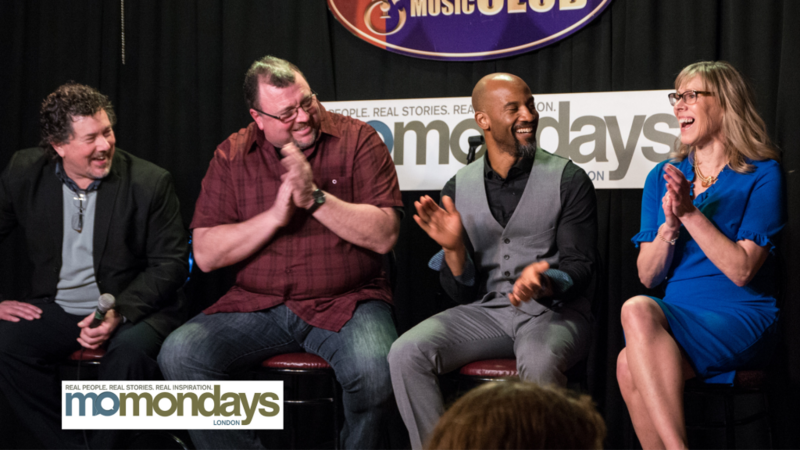 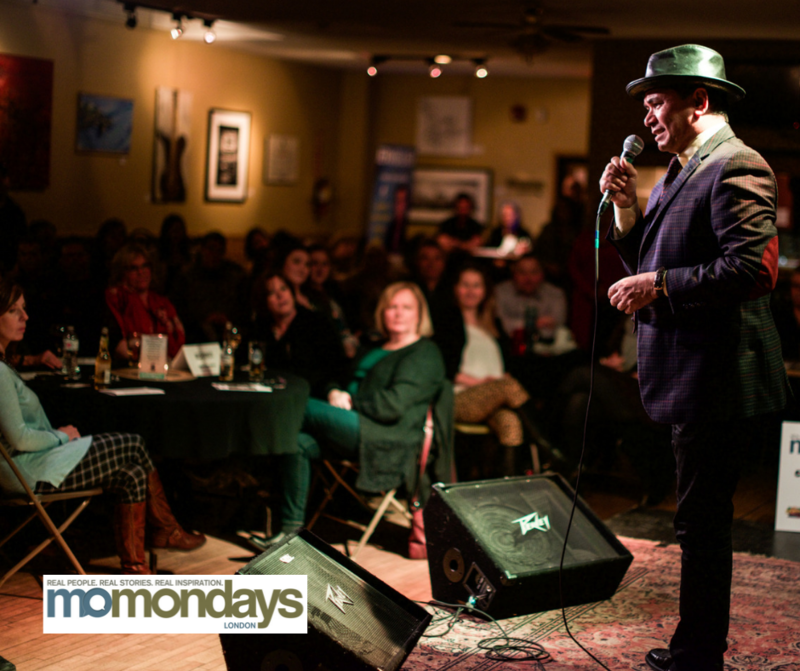 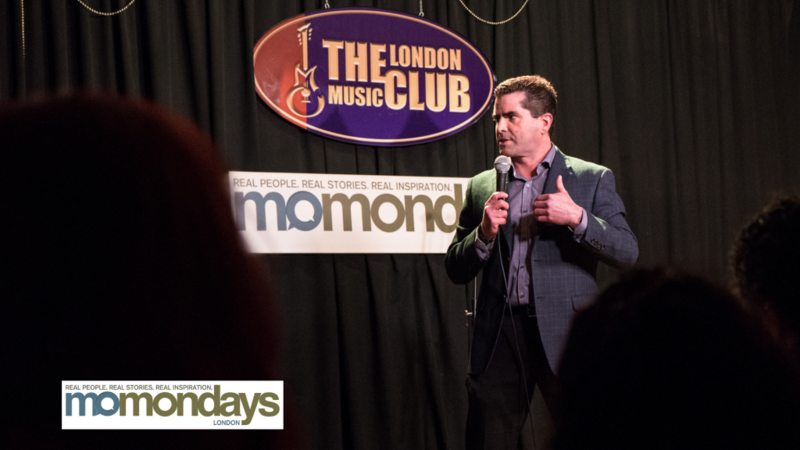 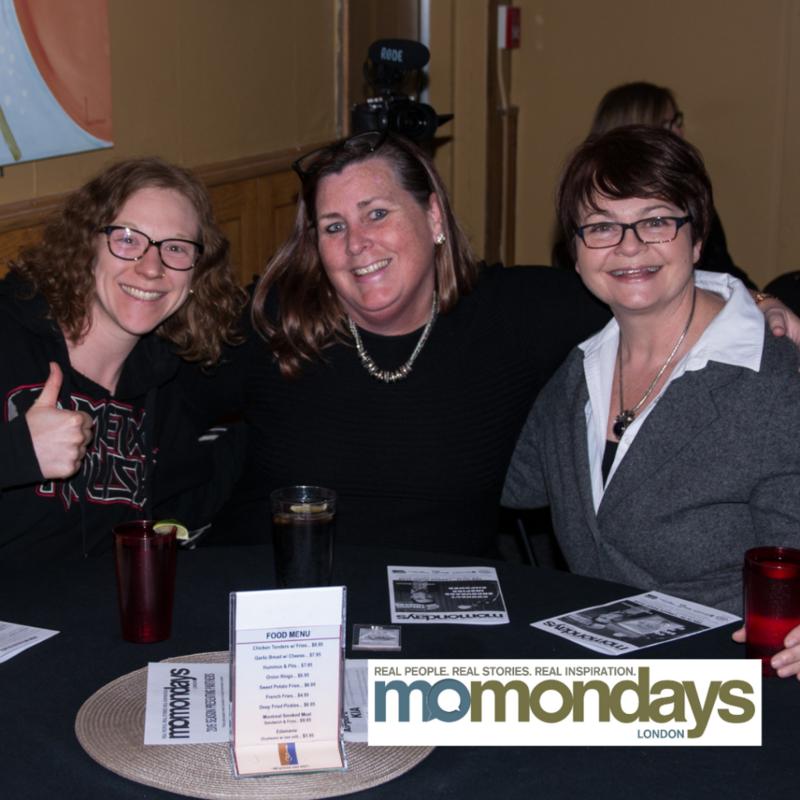 The 2019 season of momondays London will be held in at the London Music Club (in the Big Hall) at 470 Colborne Street (at Queens Ave). 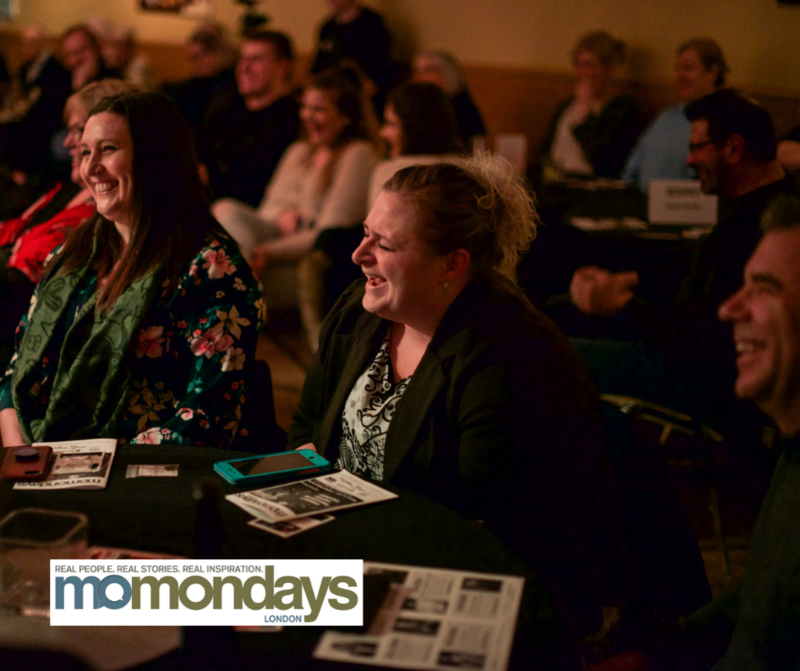 A handful of parking spaces are available on site, and with hundreds of available spaces on the adjacent streets just a block or two away (parking in London is free from 6 p.m. onward). 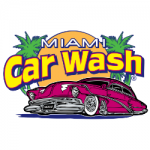 Regular price tickets are $25 each. 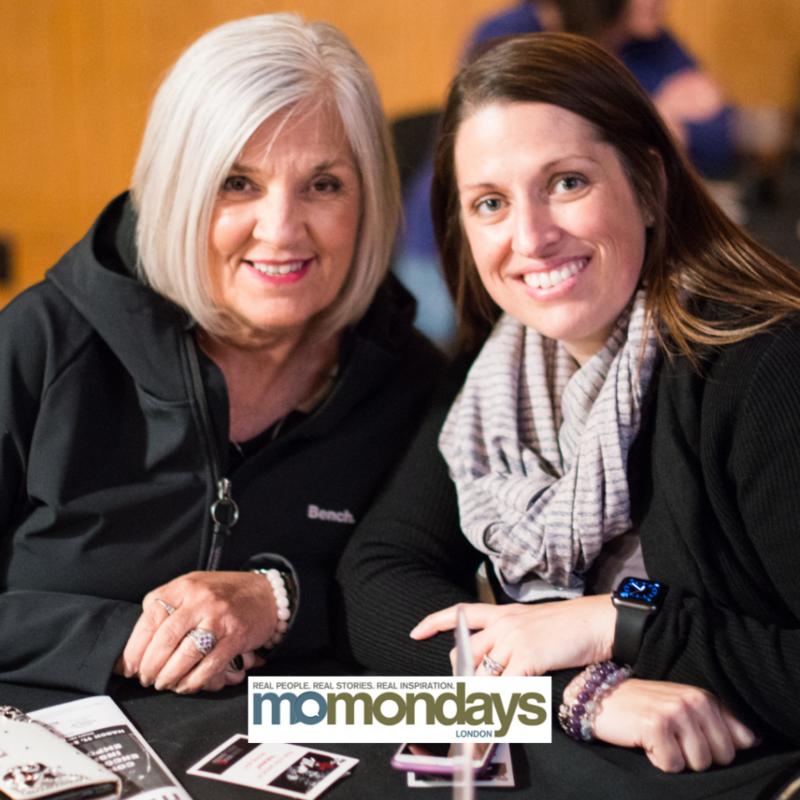 VIP, branded & reserved tables of 6 are $90 each (also available online until Friday, March 8 at midnight). 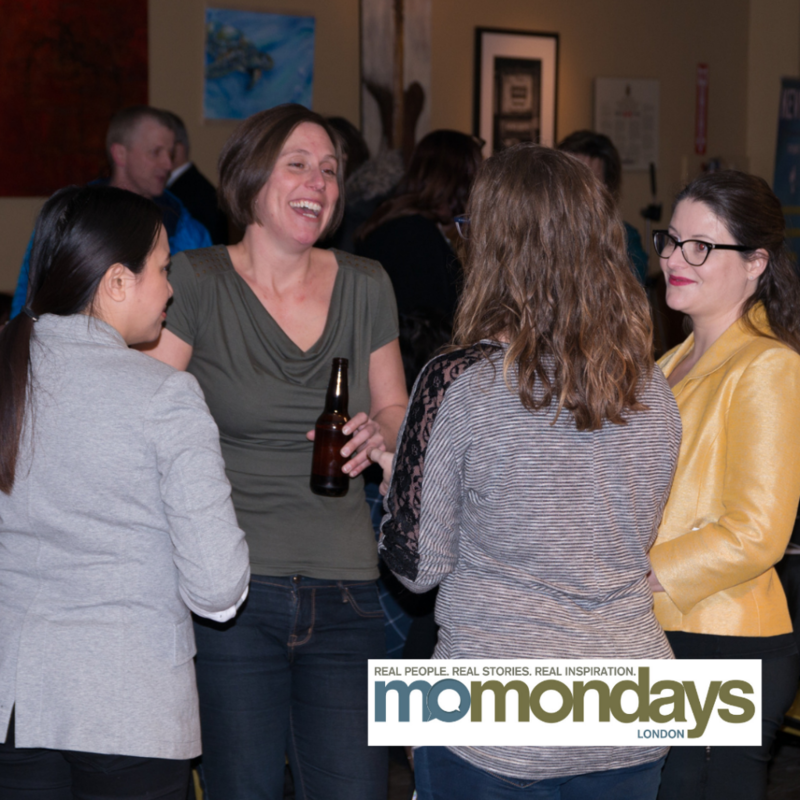 Doors open at 6:00 pm for socializing and networking. 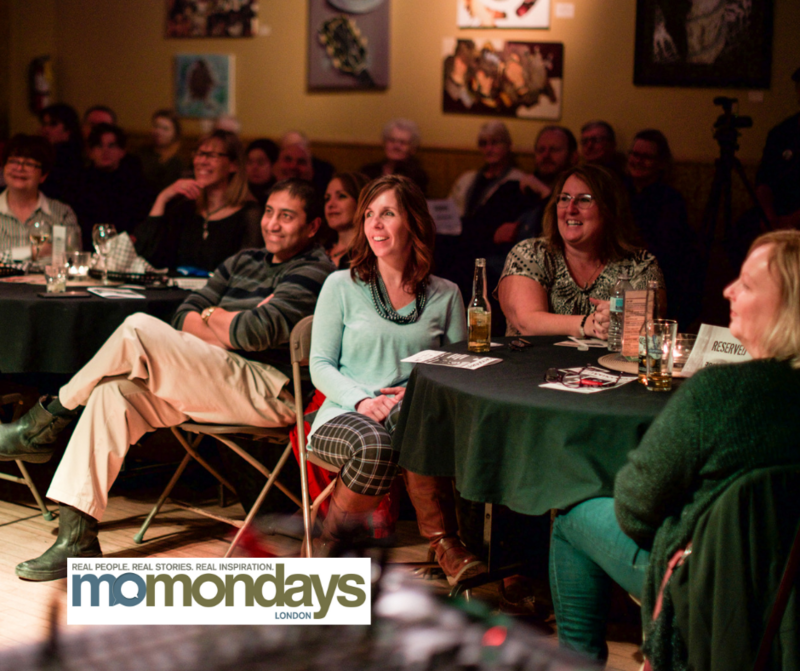 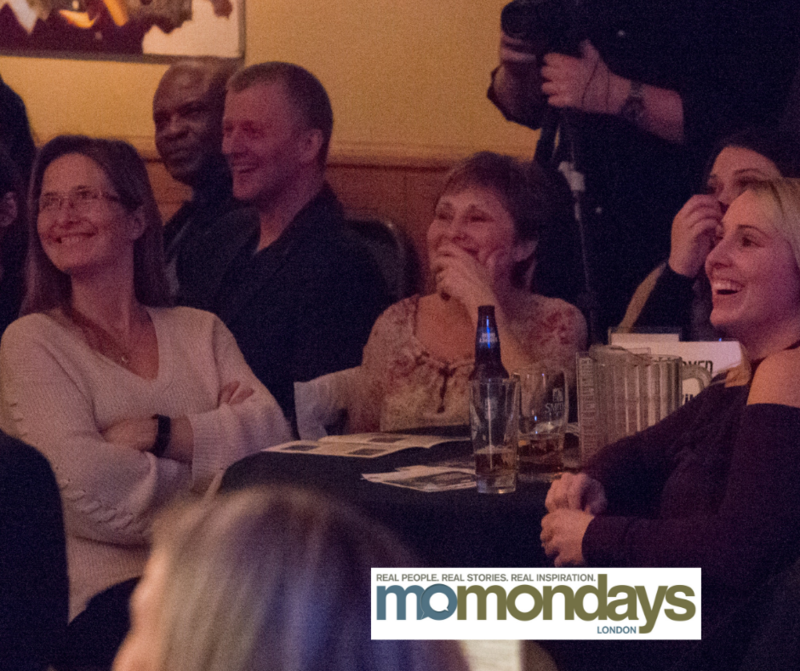 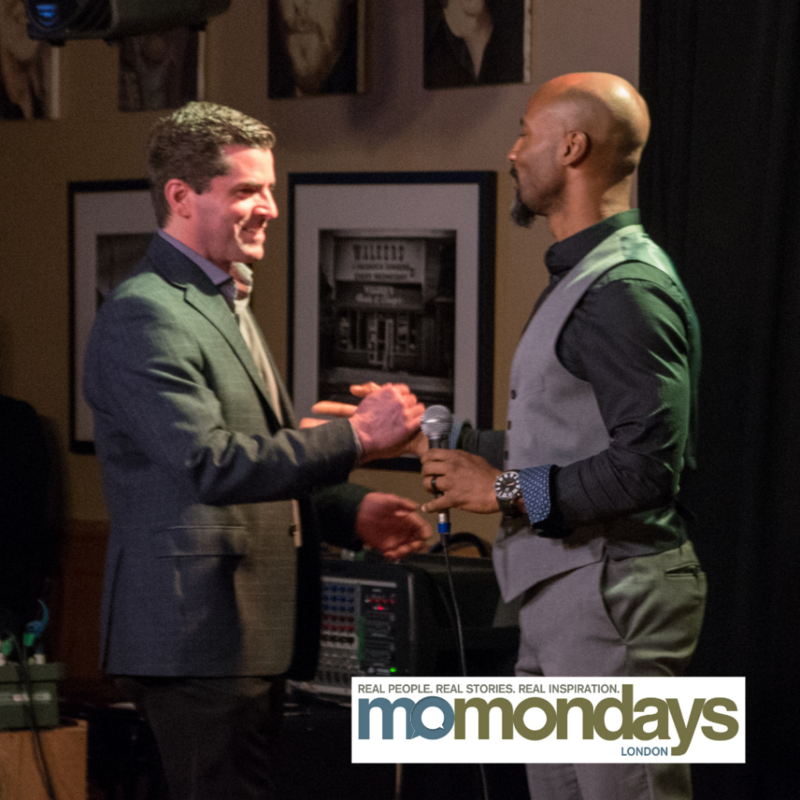 The show starts at 7:00 p.m.
We'd like to see momondays® London grow into much more than "just" a monthly event. 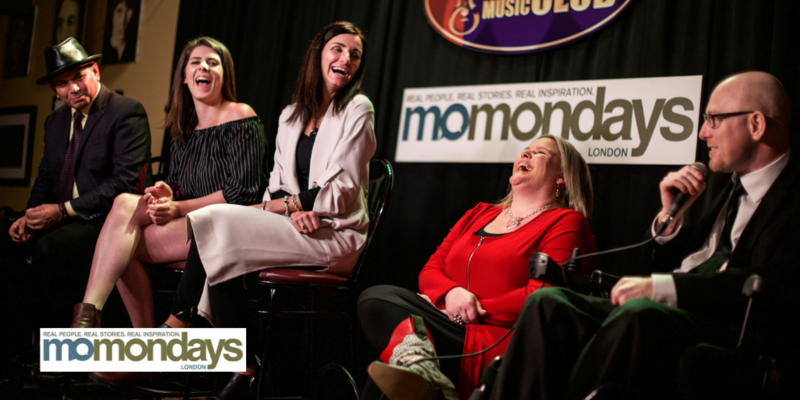 To join the pre and post-show conversation between events, visit and interact with the momondays® London Facebook Page. 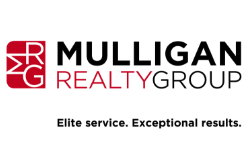 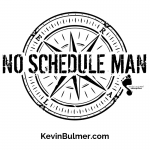 To connect directly with Kevin Bulmer, visit his website here or his Facebook Page. 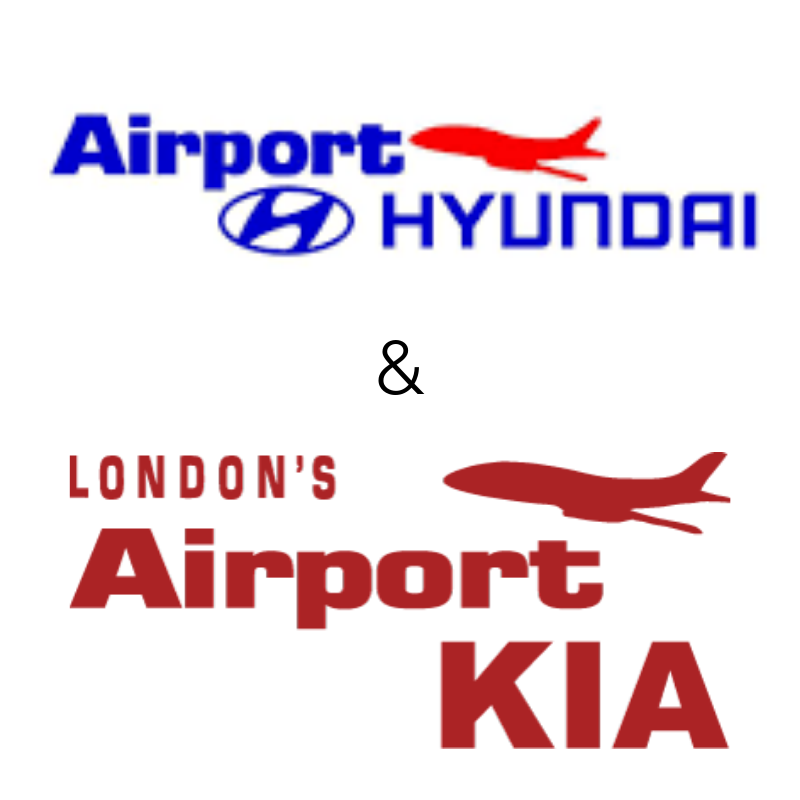 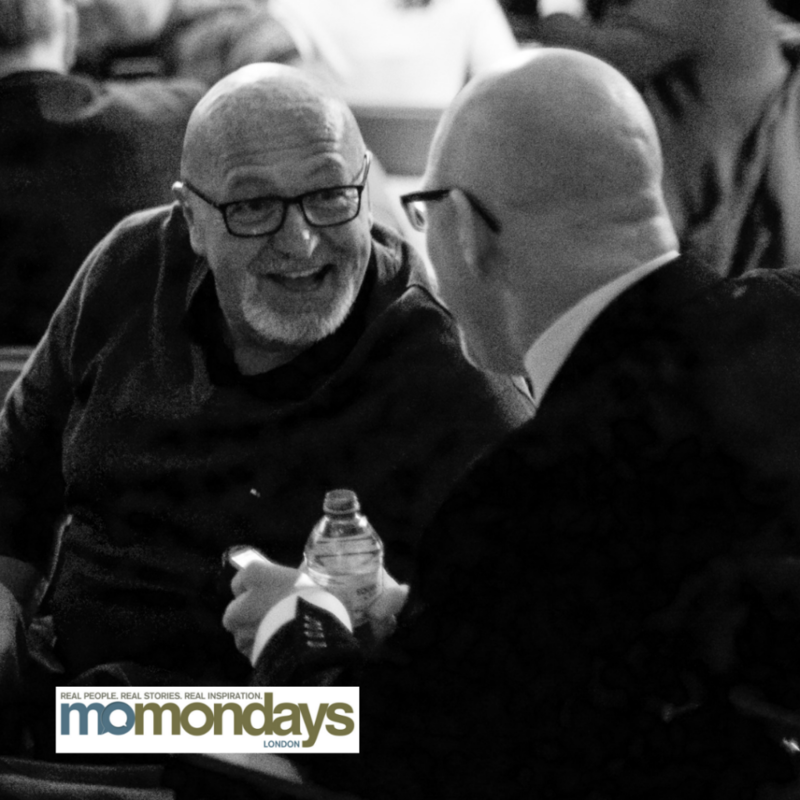 If you'd also like to align yourself with momondays London as a presenting sponsor, please contact Kevin directly for more information. 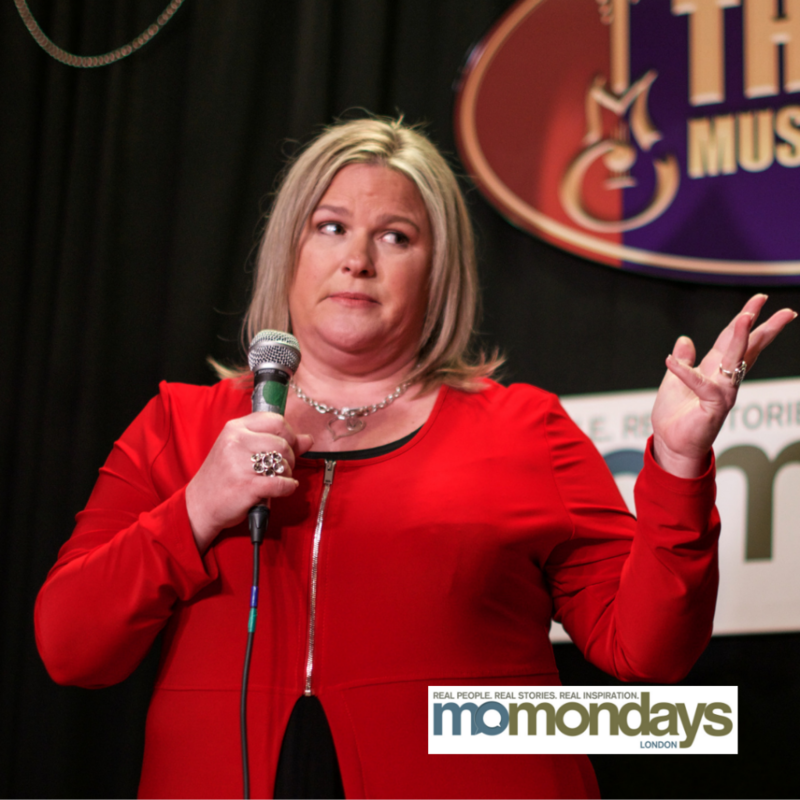 Special thanks to Melissa Price at m.Jayne Images! 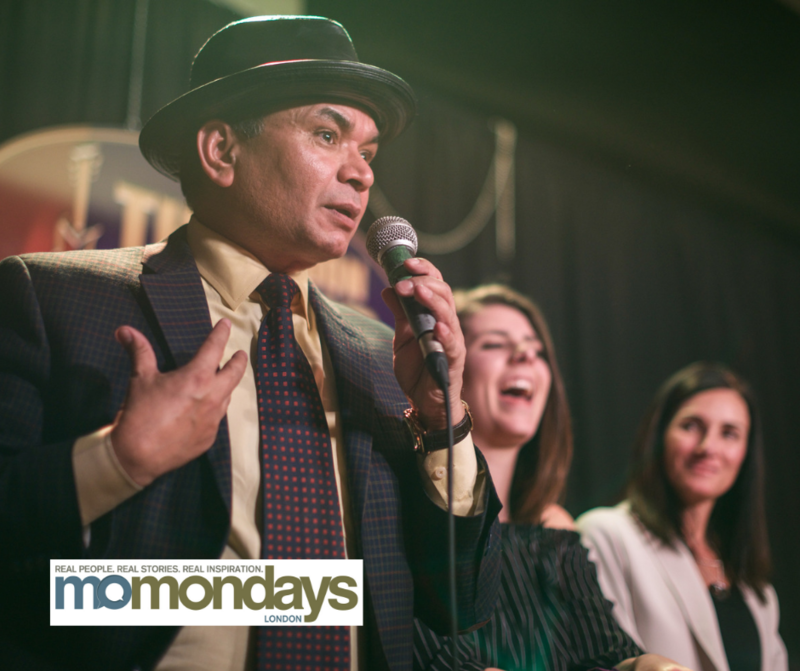 What is momondays London and what does is do? 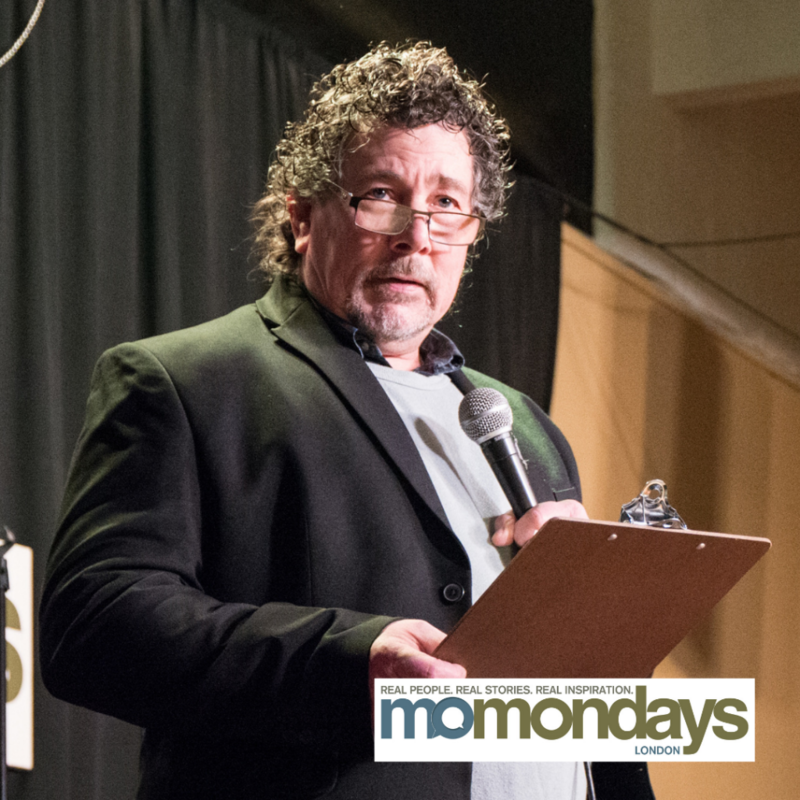 Since beginning his career as a radio host in the mid 1990’s, Kevin Bulmer has amassed over 20 years of combined experience as an award-winning broadcaster, business owner, marketing consultant and coach. 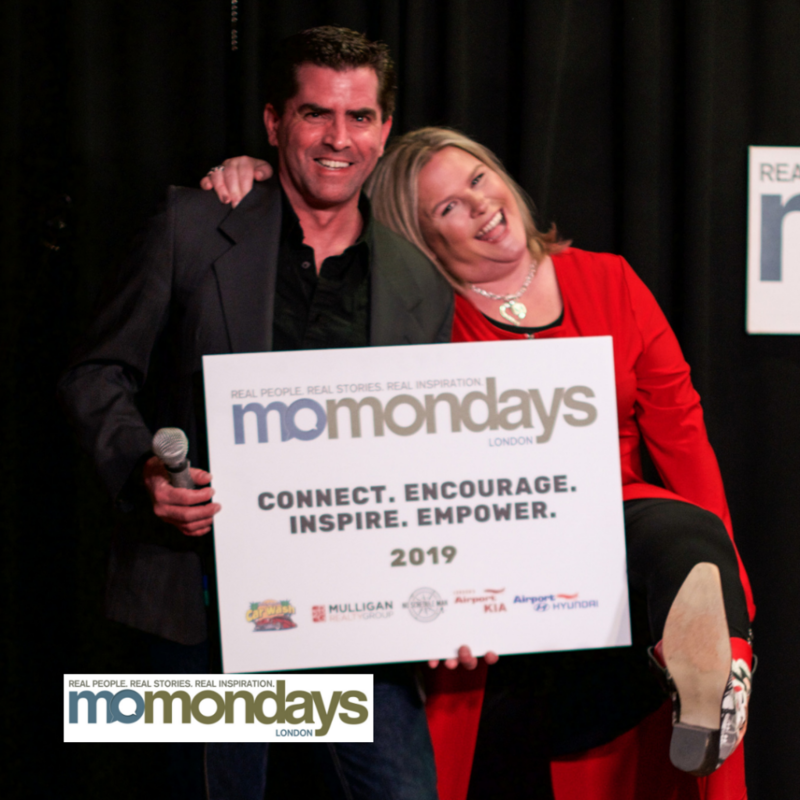 A dynamic and empowering professional speaker, Kevin hosts the podcasts “Be Real Do Better - The Small Business Marketing Show” and “Journeys with the No Schedule Man,” which has seen him interview thought leaders from around the world. 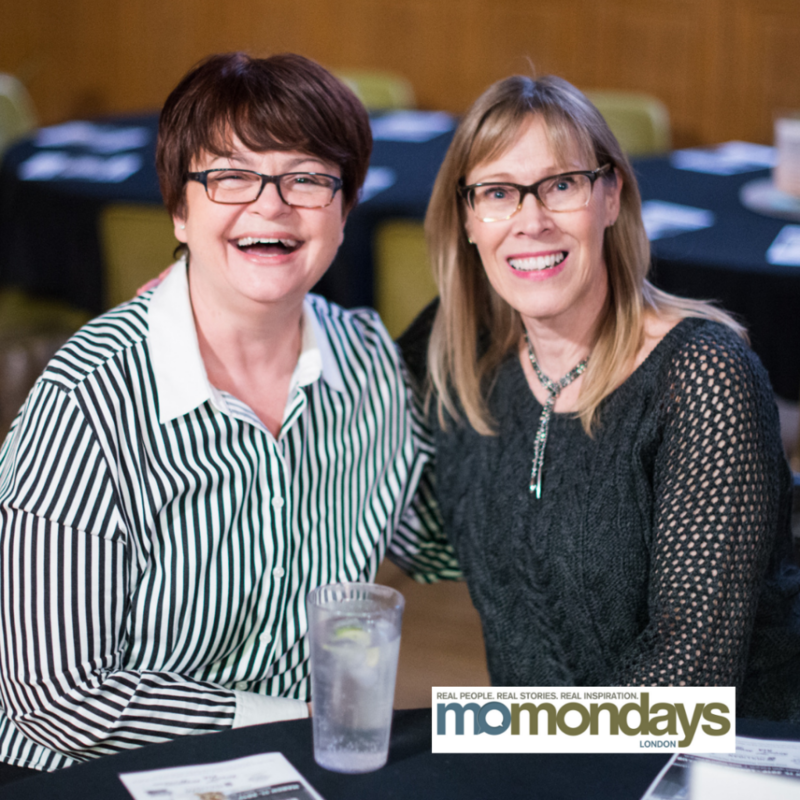 Attended a momondays London show? 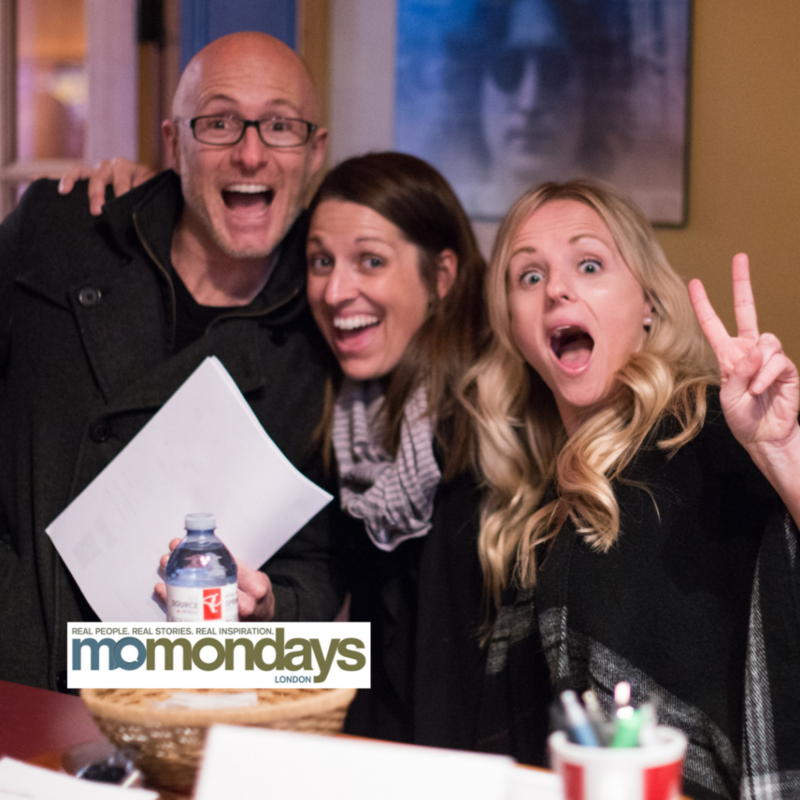 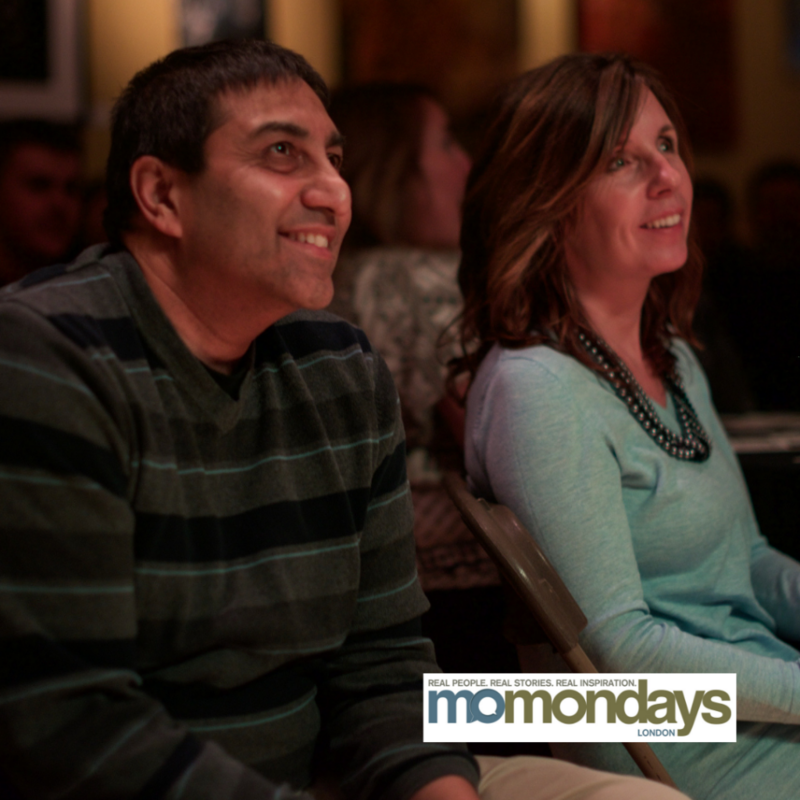 Leave us a Facebook review or email it to london@momondays.com. 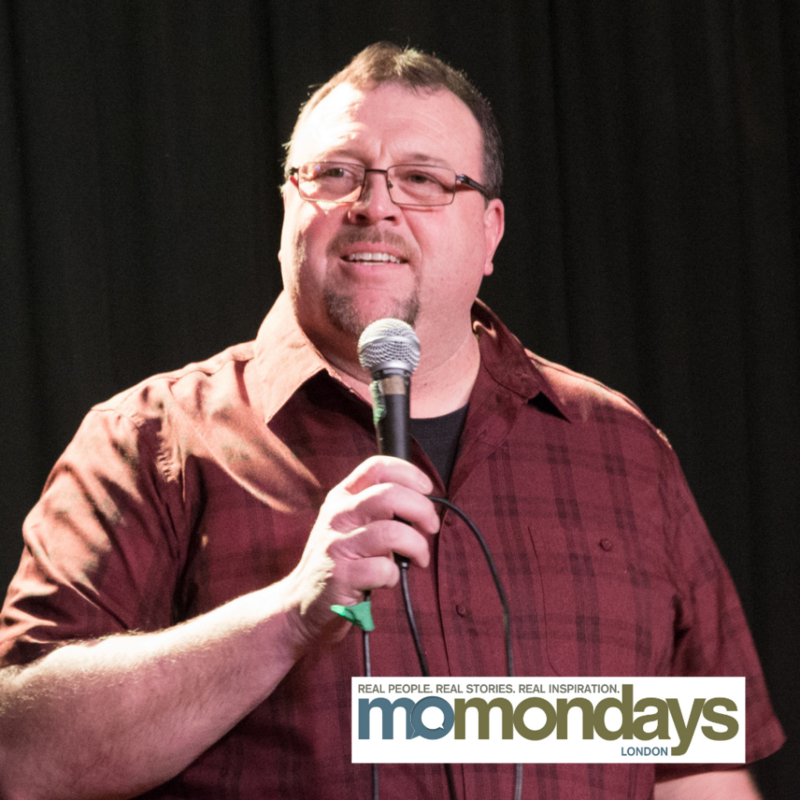 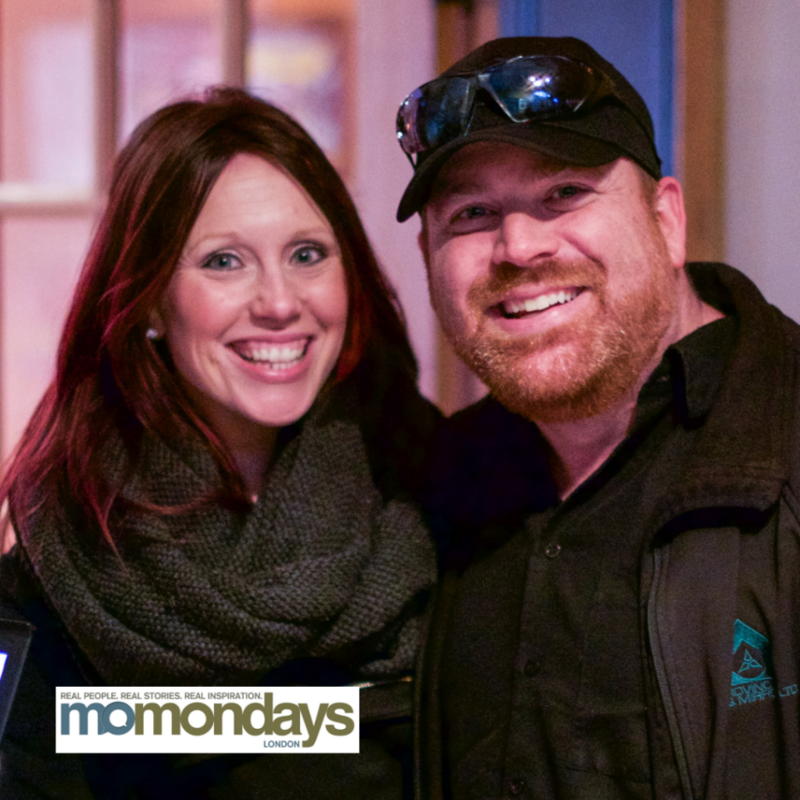 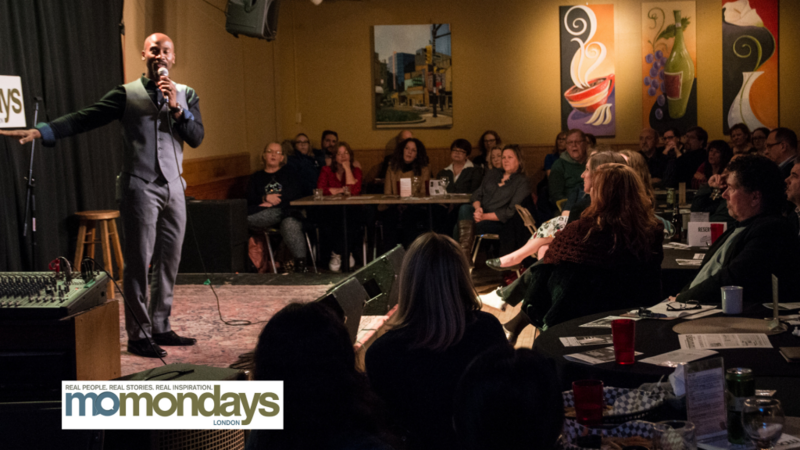 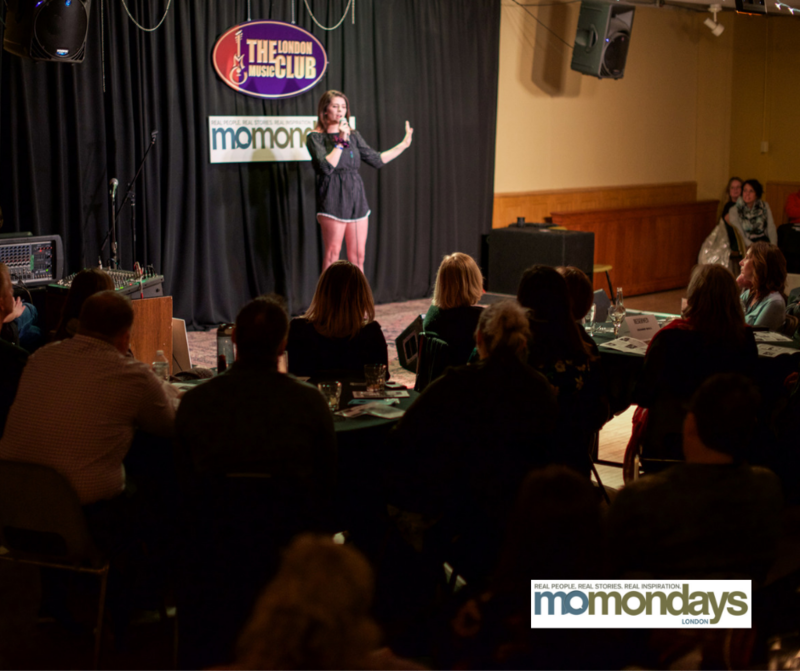 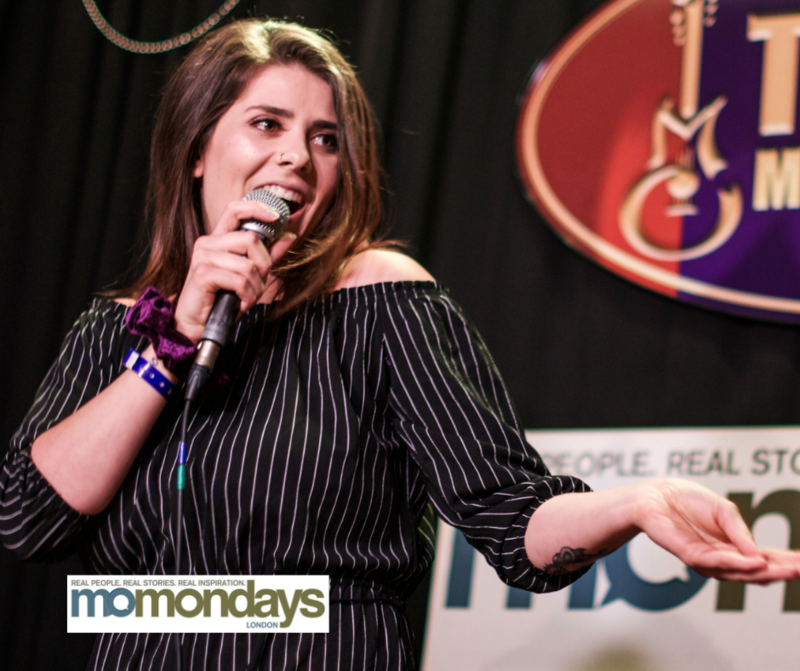 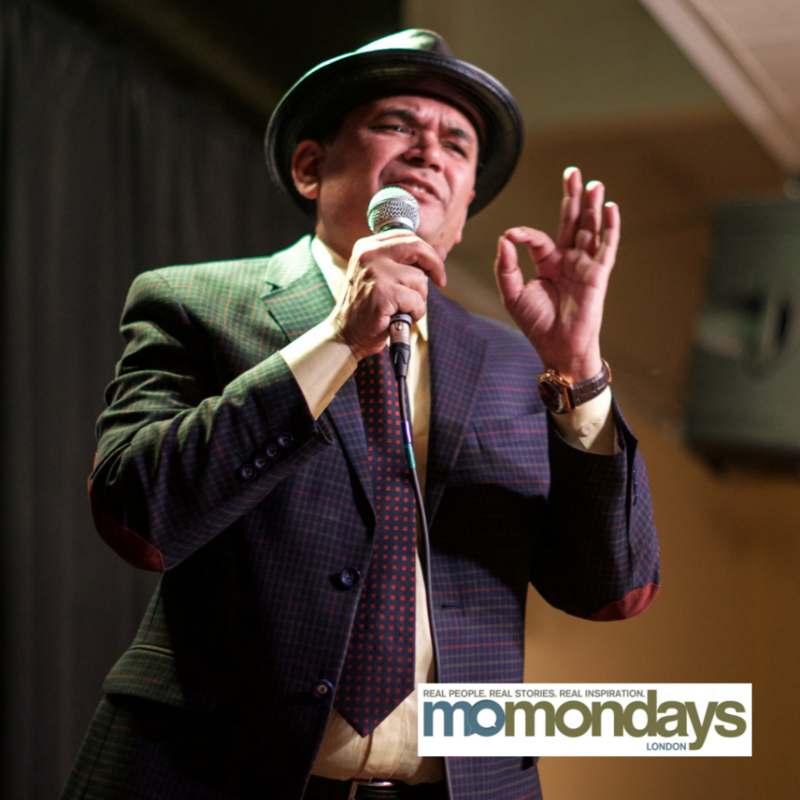 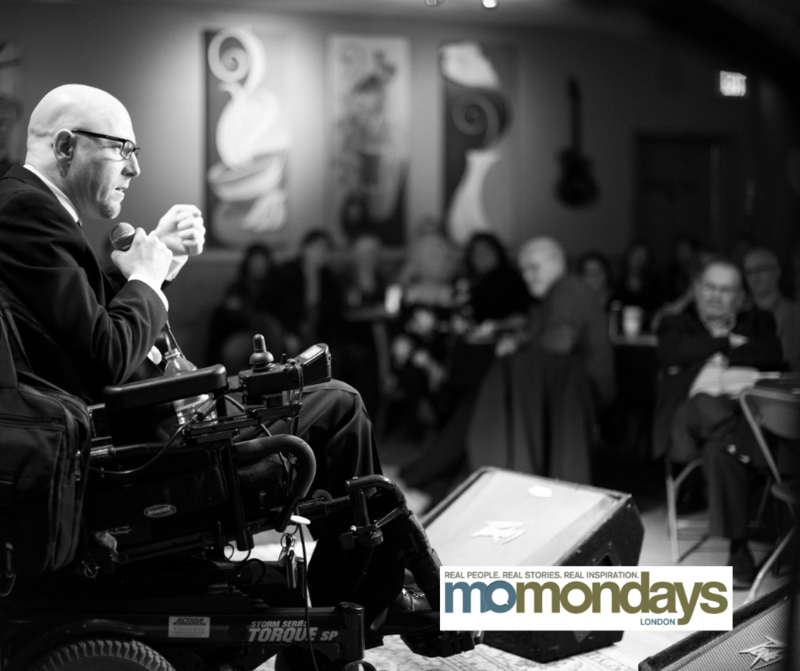 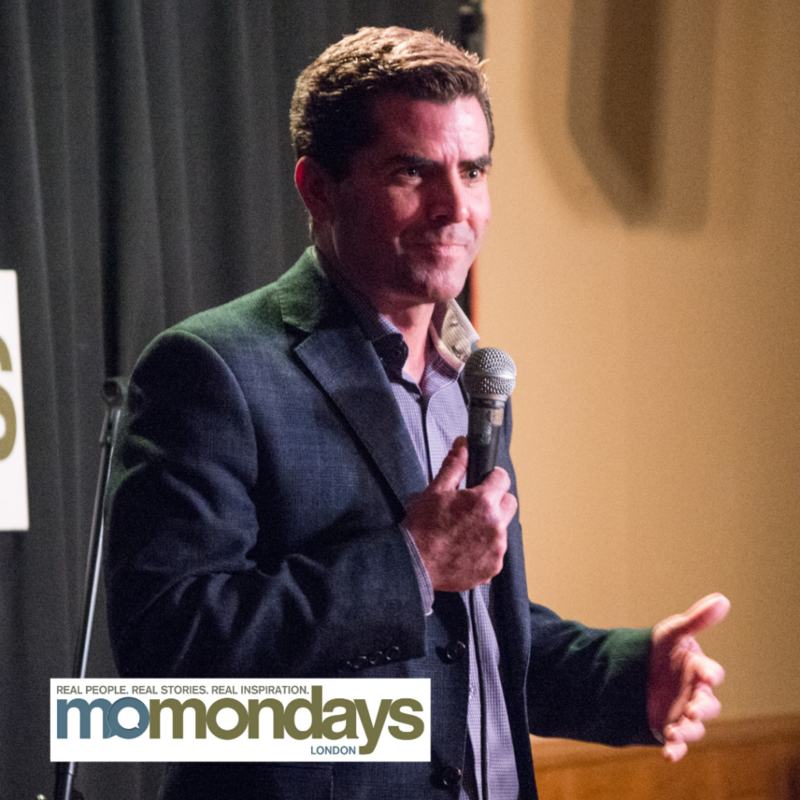 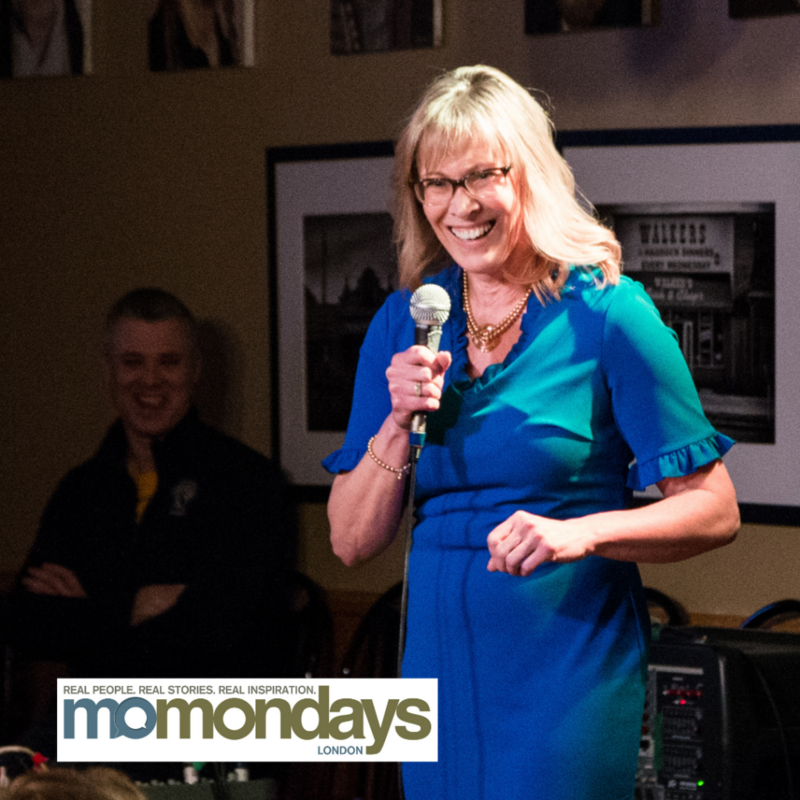 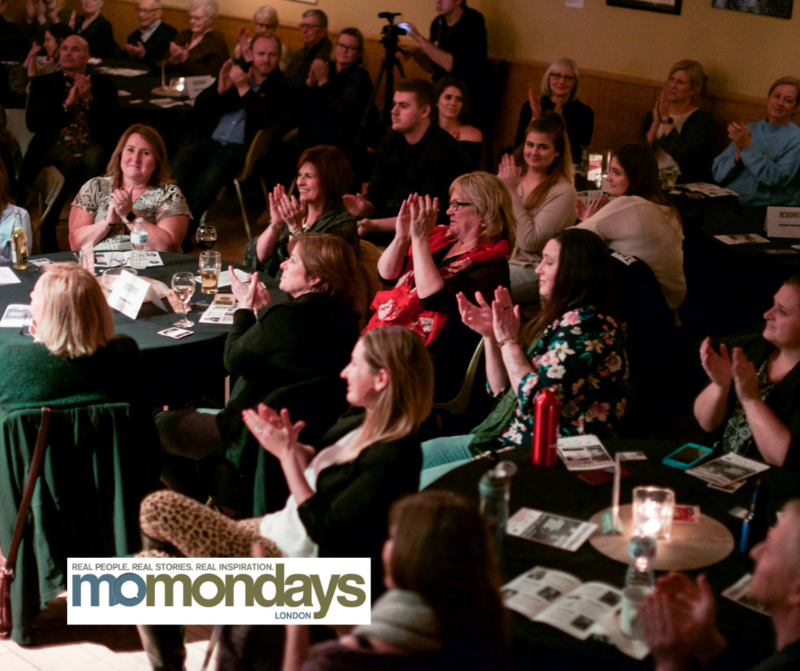 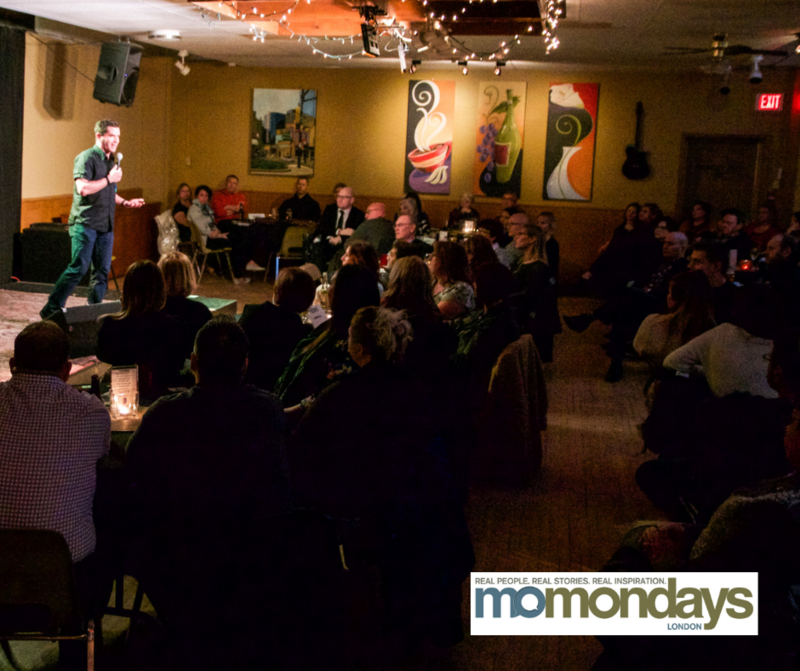 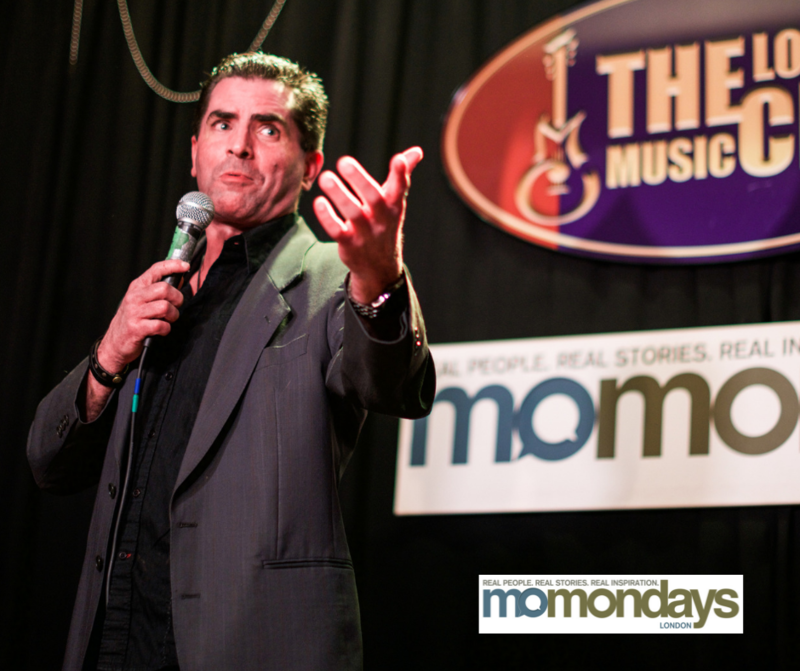 Want to speak at momondays London?